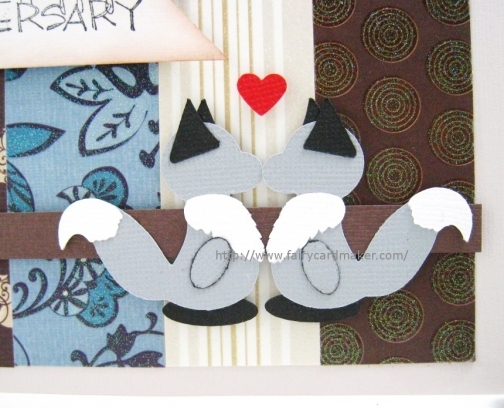 A pair of silver grey foxes celebrate their love on this handmade anniversary card with envelope. The foxes can represent either gender which makes this anniversary card suitable for homosexual gay and lesbian anniversaries too! The browns on this card allow for a masculine appropriate feel, while the glitter papers bring that touch of feminine allure. The grey paper pieced foxes are my own original paper die cut designs. 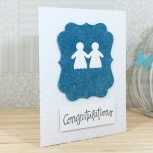 They are popped up from the cardfront for dimension as is the handstamped sentiment. A red heart floats above their heads. 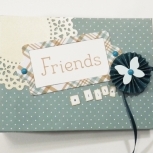 The tones of brown, blue and cream are set on an off-white, vanilla brown card base. This fox anniversary card measures 4.25 by 5.5 inches (roughly 10.8 by 14 cm) and comes with a plain, white, peel'nseal envelope. The card is built from heavy weight cardstock. 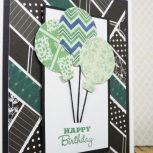 The inside of this anniversary card is blank cardstock for your own message. If you would like your card lined with plain white paper, message me during the check out process.